We offer an 18-week training programme open to women, transgender, intersex and gender expansive participants aged 18 and over. 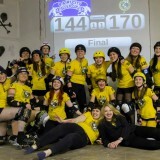 New skaters join the league as ‘Hatchlings’. You don’t have to be able to skate, all we ask is that you are ready to learn. We also welcome men as valuable members of the league, as referees or Non Skating Officials (NSOs). Keep an eye on our Facebook page for updates on our next intake. Hatchlings and trainee referees once a week on Sunday 7pm - 9pm at Greenbank Sports Academy. 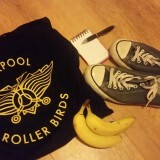 All new skaters joining the ‘Hatchlings’ must have all this kit for their first training session. 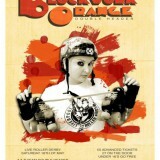 Roller derby is a full contact sport so good quality safety kit is a must. Even if you are on a budget, a minimum set up of elbow, knee and wrist guards are required. If you arrive at a training session with kit that does not meet our minimum safety requirements, you will not be able to skate. As we are a skater owned and skater run team, we have to charge fees in order to cover hall hire costs, insurance and keep the league running. New skaters pay monthly membership fee of £25 and more information about this will be provided at the beginning of ‘hatchlings’ training. Once you have passed your minimum skills your monthly membership increases to £35. 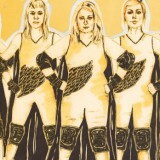 During the 18 week 'Hatchlings' programme we will teach you all you need to know about roller derby and all the skills needed to pass the WFTDA ‘minimum skills’ test. basic skating for roller derby: derby form, stops and falls. contact: blocking, jamming and more! rules and strategy: stuff you will need to know in order to be able to scrimmage. 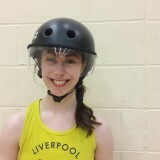 Once you have passed your minimum skills test you are then allowed to ‘scrimmage’ (practise game-play) with the ‘Birds’ and your training progresses towards playing roller derby games in public. When is the next intake for new skaters? We encourage all potential members to come along to our games and events to learn a little more about the sport and the team – you might also pick up some of the rules along the way! 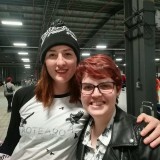 If you can't wait to get involved, you could consider joining us as an NSO (Non Skating Official) member. We consider transfers of post-minimum skaters on a case-by-case basis; please contact us for more information. 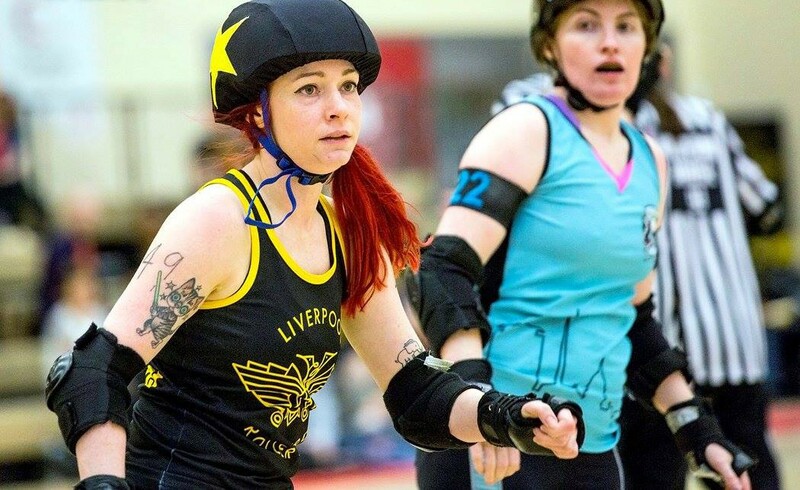 Watch Pops #767, our This Girl Can ambassador, talking about how anyone can have a go at roller derby and what it's like to be part of Liverpool Roller Birds.